Three residents of the International Space Station, including one NASA astronaut, are scheduled to wrap up their stay aboard the orbital laboratory Wednesday, Dec. 19. Live coverage of their return to Earth will air on NASA Television and the agency’s website. 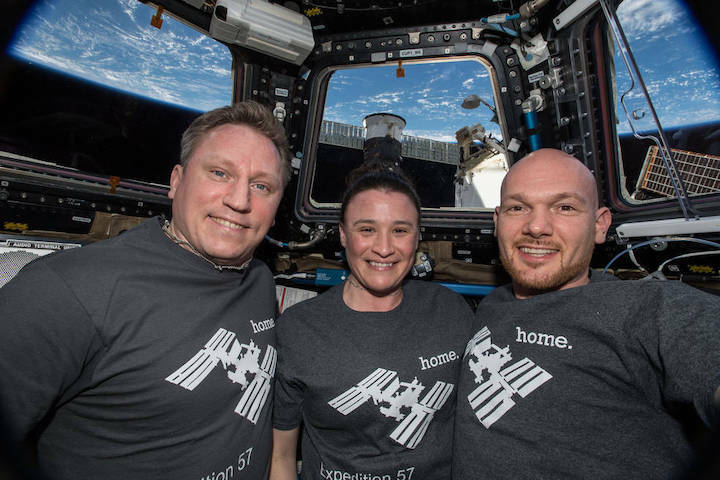 At the time of undocking, Expedition 58 will formally begin aboard the station, with NASA’s Anne McClain, David Saint-Jacques of the Canadian Space Agency, and Kononenko comprising a three-person crew for just under three months. The next residents to the space station — Nick Hagueand Christina Koch of NASA and Alexey Ovchinin of Roscosmos — will launch aboard Soyuz MS-12 Feb. 28, from the Baikonur Cosmodrome in Kazakhstan, to join Expedition 58 following a six-hour journey.